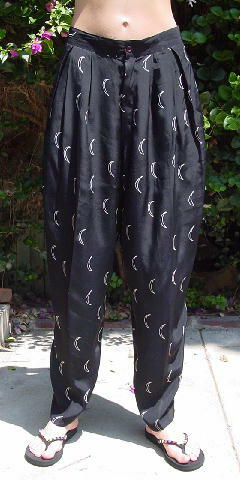 These vintage black background Cacharel harem-style pants are 100% viscose and were made in France. They have a 7 1/4" long front zipper, belt loop, side seam slash pockets, and wide pleats extending down from the waistband in the front. 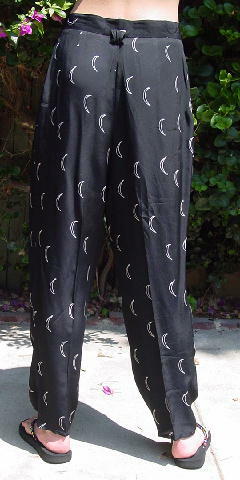 They have a pattern of thin white crescent shapes. 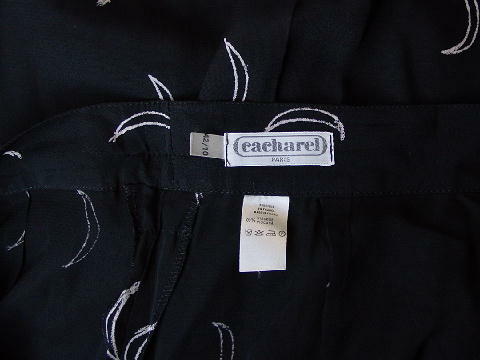 waist to bottom hem 42"